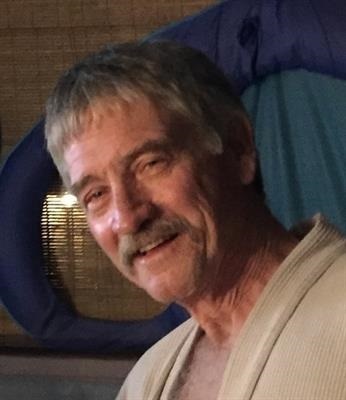 Obituary for George R Sass | TRAUB FUNERAL HOME INC.
George R. Sass, 65, of Dayton Beach, FL, formerly of Syracuse, NY, passed peacefully at home after a long courageous battle with cancer, on August 17, 2018, with loving family by his side. George was a 1973 graduate of Sacred Heart High School and was employed with Iron Workers Local #60 for the past 35 years. He enjoyed fishing and motorcycles but his greatest passion was spending time with family and his many friends. George is predeceased by his parents Walter and Francis Sass and his daughter Brittani Ann Sass. He is survived by his wife Victoria Sass; sons Kevin, Nathan, and Luke Sass; sisters Sue (Ben) Frega, Roxanne (Roger) Paradis, Cindy (Bill) Cummings, and Frannie Sass; grandson Jamison Sass; and loving cat Britches. Calling Hours will be held on Tuesday, 4 to 6 pm, at Traub Funeral Home, 7975 Rt. 31, Bridgeport with a Funeral Service to follow at 6 pm. Friends and family are invited to attend a Celebration of Life immediately following the service at VFW Post #7290 in North Syracuse. Burial will be held privately at a later date.